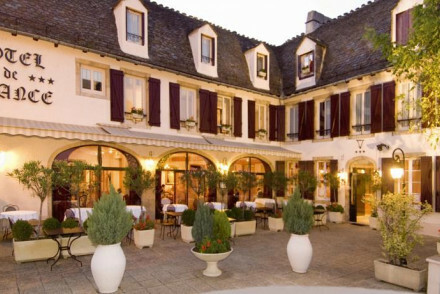 French country hotel with simple (predominantly white), pretty rooms that ooze class and style. Features include terracotta tiled floors and spacious bathrooms with rolltop baths & rain showers. Excellent restaurant too! A great base for exploring the Cevennes National Park & wider Languedoc region. Turreted 15th castle next to the river Tarn. Vaulted ceilings in the guestrooms are painted, and furnished with tapestries, stone walls and antique furniture. 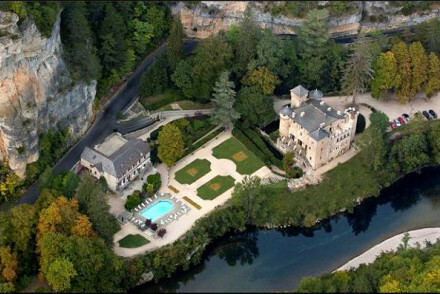 Spa, gym and outdoor pool, extensive grounds with views of the Tarn Gorges. Authentic French dining. Historic and stunning.